This is my UK review of the Luigi's plunger. Save money on calling out a plumber and try this first to unblock toilets the easy and effective way. 88% of all UK buyers said this unusual type of plunger worked like a dream. Flushing any type of toilet waste away is simply not the nicest of jobs to have to undertake. The easiest and most best way of doing that is to own an effective plunger. The Luigi's toilet plunger is certainly one of the very best on the market. It doesn't have the classic look of your standard toilet plunger. Quite frankly though, when I am trying to get rid of something blocking up my loo, I genuinely don't care what it looks like, I just want it to work. This plunger from the Luigi's brand is about 8 times more effective than your bog standard (pardon the pun) suction type of plunger. This particular one can clear wet wipes, "man made blockages" and even children's toys. It is certainly a great deal better than getting the rubber gloves on, and trying to do it by hand. Just in case you are in any doubt about this one it comes with a money back guarantee. You can try and manually fix it by getting some rubber gloves and getting your hand in. That is never a pleasant task but in some cases it can work if the blockage is not too severe. This is of course a free option but it is problematic if it will work or not, and let's face it, it is not something you really want to have to do. For me anyway, the third option is best as it is relatively cheap, and if it works not only clears the blockage problem, but also saves the high costs that a qualified plumber will charge. I like to be really clear with my website readers and I certainly never want to mislead them, as I hate that happening to me. This is suitable only for the toilet. It is not suitable for a sink or a bath. As you can see from the image above the nose of this plunger is bellow shaped, and designed to suit any type of toilet. Essentially you push this bellow nose into the toilet, under the water as far as it will go. The further you can get this nose under and down into the toilet the better. Then you start pumping it and it then has a mixture of air and water to help shift any blockages in and around the U-Bend of the waste pipe. It takes about 20 seconds of hard plunging for this one to work. You may need to repeat this action 2-3 times but it does shift most things. Many normal shaped plungers create a suction to help build up and force air in, to help move blockages. This one does not do that. This one gathers the water in the basin and U-Bend and forces that through to push out any blockages. Here is a short video on how this type of Luigi concertina plunger actually works. What Types of Toilets Does It Fit? The quick answer is any shape of toilet. Some of the toilet basins are round, some oval, some square and some are rectangular in shape. With this plunger it really does not matter as it will work on any shape. What Size is the Luigi's Plunger? For those who like their technical detail, the overall length is 60 cm, the widest bit of the concertina shaped element is 14 cm, and the nozzle end itself is 4.5 cm with a 3.5 cm hole. What Buyers Say About the Luigi Plunger? 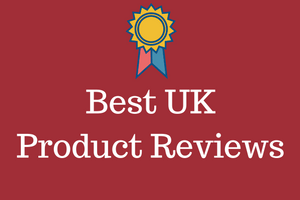 The most important part of any product review is really what the buyers have to say, and how the rate the product, after they have bought and used it. What I do here at my website is read most of these reviews at different online websites, where the product is sold. I then summarise these into an average buyer satisfaction rating. This plunger overall got an 88% buyer satisfaction rating, which is a very high rating. For full transparency though I like to include the good and bad points about any product. I make notes when reading the reviews and then summarise those in a pros and cons table. That makes it much easier for my readers to see at a glance if the product is suitable for their needs. Overall buyers said this was super easy to use, though a few buyers said there is a bit of a knack to it. Many buyers who bought this had tried toilet snakes, rotating wires, bent wire coat hangers, buckets of water, and drain busters. When none of those worked they said that the Luigi plunger worked right away. It is hard to get excited about a toilet plunger, and it is not a product that you buy on a whim. It is one of those things that you will only buy if you really need it. The only question is which plunger should you buy. There are plenty of these on the market, and this Luigi's plunger gets rated very highly by real life buyers. Just bear in mind this will work on any shape of toilet, but will not work on a sink or bath. The majority of buyers said that this got the job done and cleared the blockages and at the end of the day, that is exactly what you want to happen. It is well priced and certainly a great deal cheaper than having to pay for a plumber.